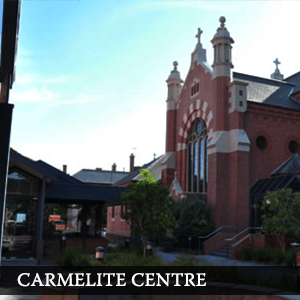 Carmel Contact is the newsletter of the Carmelites of Australia and Timor Leste published three times a year. 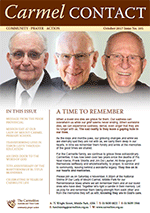 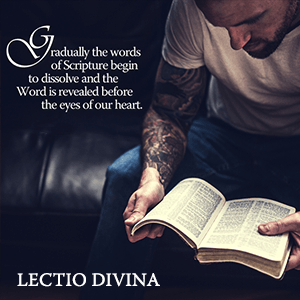 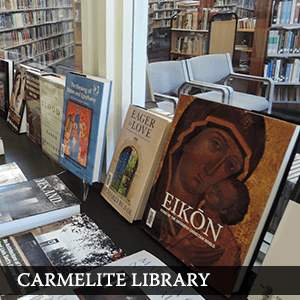 Each issues contains information and news about Carmelite spirituality, people and events. 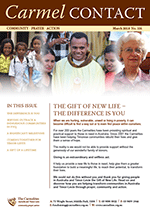 News from our missionary efforts in Timor Leste is a particular focus of each issue. 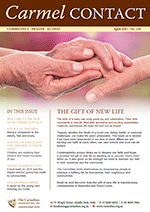 The Gift of New Life - the difference is you!